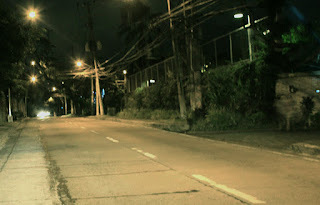 Balete Drive, Quezon City. This road in the middle of Metro Manila is said to be haunted by restless spirits. Stories have been told since the 1950s that drivers who pass by the Balete Drive report getting distracted by a spirit called white lady often times hailing the driver to stop. It doesn't matter if you would stop or not, it will get into the back seat and make the vehicle crash. Many people say this is not true and nowadays, the road is well lit. Not really scary anymore. Pass by anytime. Just don't stop for any ladies dressed in white. 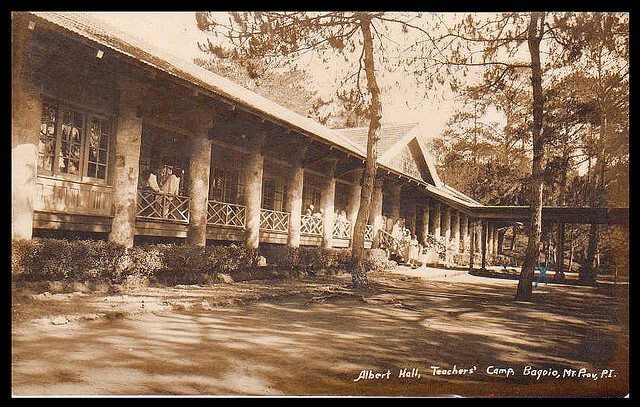 Teachers Camp, Baguio City. This place is a favorite for conventions by both students and professionals. 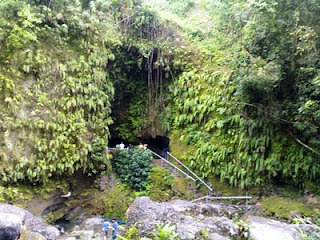 It has also been said as a favorite hangout of the spirits of the dead. Many people have testified of being spooked by apparitions of spirits, strange footsteps on the hallways during the middle of the night, and ....missing toothbrushes. Yes, I have heard of stories people having their toothbrushes stolen at their stay in one of the cottages. Well, its an old place and its very quite there. Who knows, maybe the quiet surroundings drives people crazy. 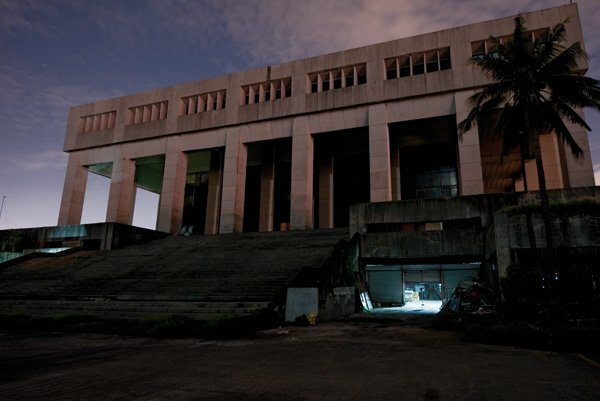 Manila Film Center. The great years of the Philippines brought also some tragedies when this building was being built and a part collapsed on an unknown number of workers. It has been said that a number of the workers weren't recovered and construction continued (which is very unlikely). For years it has been believed that these dead workers haunt the Film Center and much worse, invited other spirits over. Spirit Questors even took up the challenge and tried to communicate with the ones disturbing the place. I just didn't know if they understood each other. Corregidor. This little island has been the last fortress standing against the Japanese during WWII. Of course, there were dead people here before, and they are the ones who cause the hauntings. Plenty of people who visited Corregidor say they don't want to be left on the island when night comes. Even during the day, there are creepy spots in the barracks and in the tunnels. If its eerie during the day, it must be scary starting sundown. 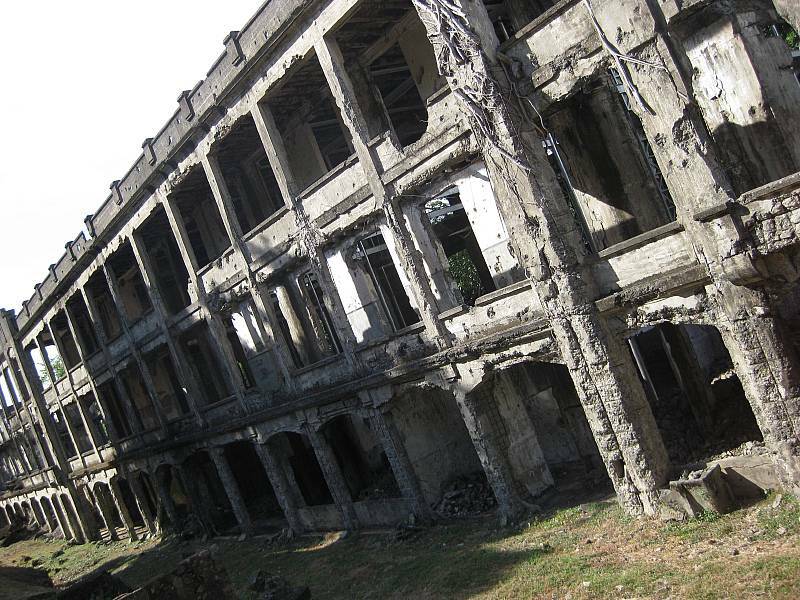 If you want to experience some scary stuff, there are ghost hunting tours being offered in Corregidor. Mt. Banahaw. It is a place of reverence to many. The mountain is said to be the home of many mythological beings like engkantos, deities, and fairies. What is scary in Mt. Banahaw is not the place but the legends that people have said about the place. Even until now, it is in this place that occult groups perform rituals so that they be granted extraordinary powers. Desecration of the mountain and its resources will result in the fury of the engkantos so be careful. It is better to get scared out of your wits by ghosts than getting elementals angry.